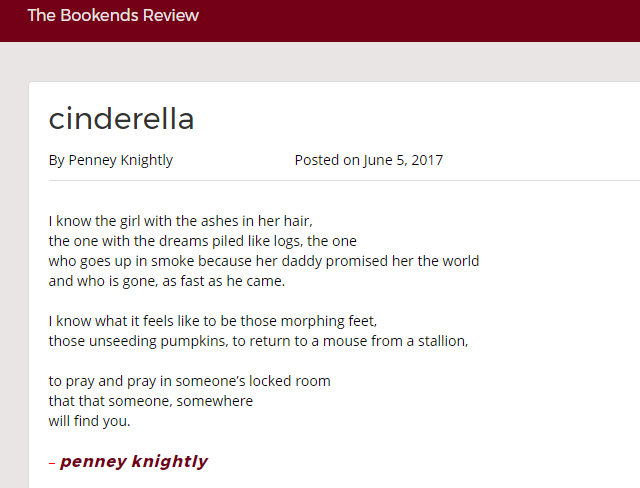 My poem, “Present Eventually” is at The Bookends Review today! Super pleased to see another poem in that venue. 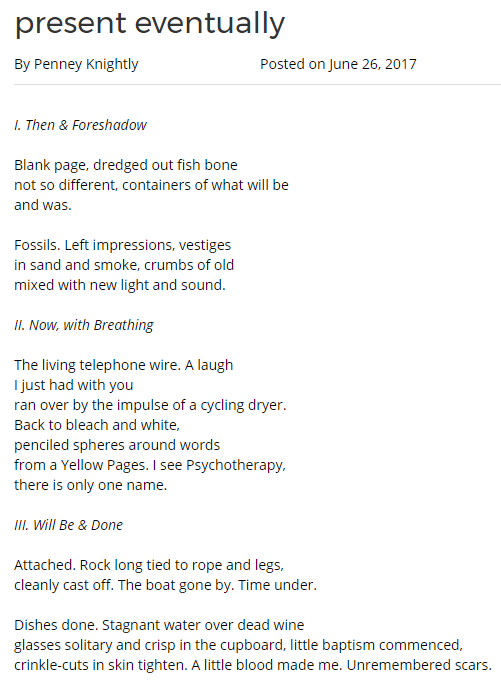 It’s interesting looking back on this poem, as I wrote it several years ago, but so much of it is applicable to the internal work I’m doing recently. I know what I was writing about meant different things at the time, but it’s amazing to see those words come back to me as help in the present. Two of my poems, “When I Told You I Was A Prostitute,” and “Realizing You Are The Desire,” are there! My poem “Juliet, I Am Not,” appears in Issue 2 of CEO Literary Magazine. 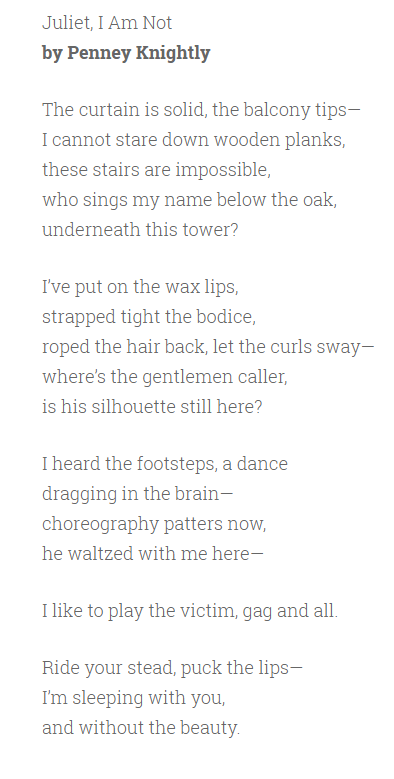 This poem is several years old, so it was so nice to see it finally find a home and an audience. 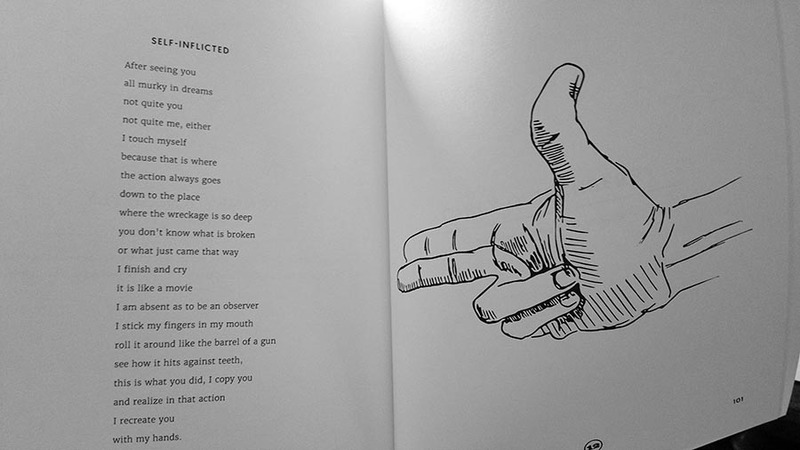 I love the illustration by Germán Salazar, shown with my poem—it really matches the subject matter well, but also adds additional symbolism. I’m still reading and re-reading through the book, and it’s hard to pick favorites, as the theme blends so well with voices chosen. I am also now a Goodreads Author! Whoo hoo! 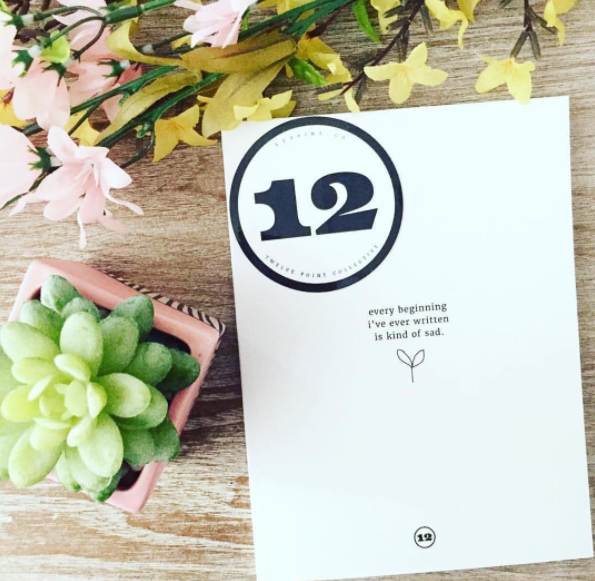 The book can be found on Goodreads, so check it out and add it to your Want to Read list!